A downloadable festival of art and activism. 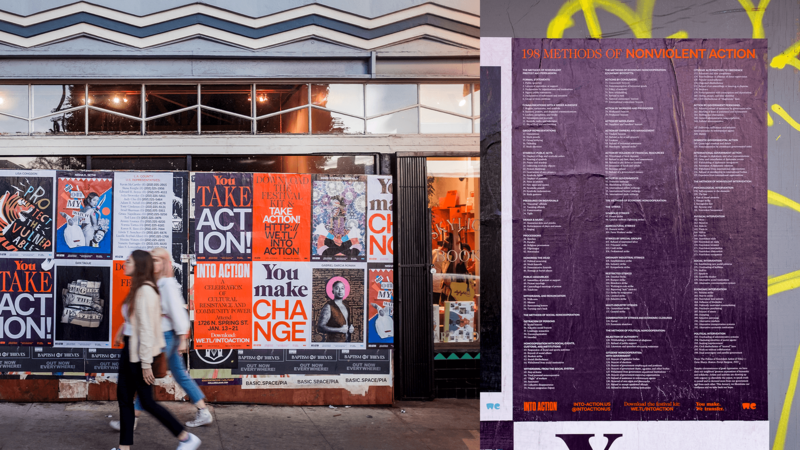 As an ardent supporter of the arts and the sharing of important ideas, WeTransfer found a fitting partner in the Los Angeles-based art and activism festival, Into Action: a self-described “Celebration of Community Power and Cultural Resistance” that took place over 10 days in January 2018, bookended by Martin Luther King Jr. Day and the second annual Women’s March. Stink Studios and WeTransfer sought to further the energy of the festival, and incite continued activism beyond its walls — so, we created a downloadable festival using wetransfer.com that houses artworks, resources, and programming into a democratized toolkit for inspiration and action. To promote the festival in both its physical and digital forms, we designed posters and wheatpasted them throughout LA during the week of the event. 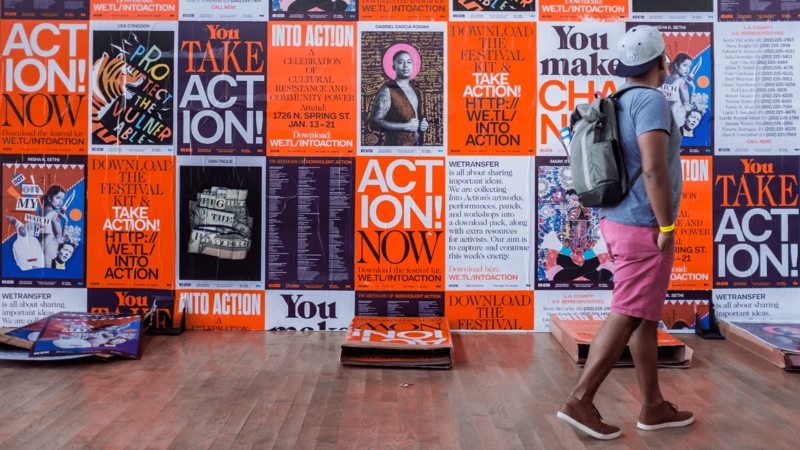 The twelve designs featured a mix of photos of the art on display in the gallery, resources for activists, and graphic typography urging viewers into action. This look and feel extended into motion as we announced the download on social media. Social coverage included daily artwork features from the gallery alongside event details and typographic mantras evocative of protest rallying cries. 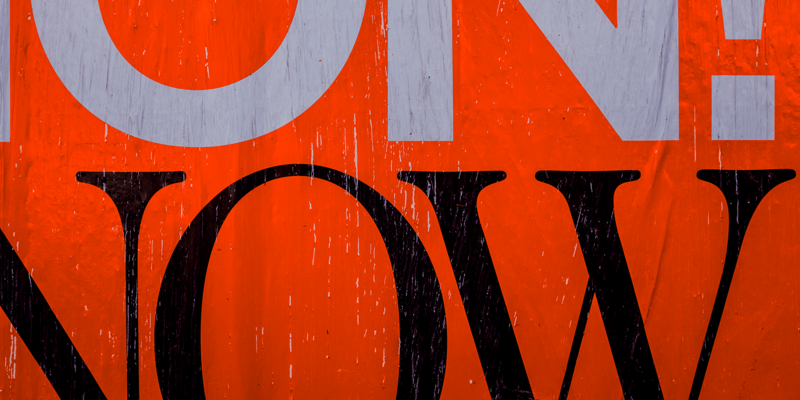 ... in addition to giving away over 5,000 of our 24" x 36" posters for free at the festival. 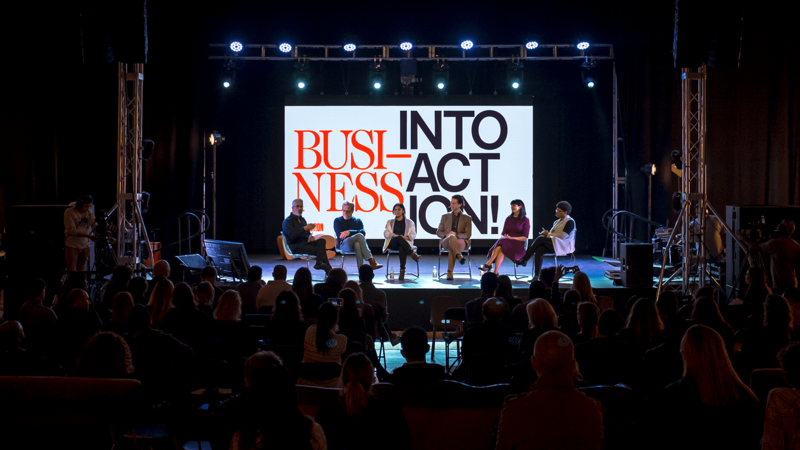 The graphics helped frame festival programming, including as a backdrop for the “Business Into Action” panel discussion organized and moderated by WeTransfer president Damian Bradfield. As the festival came to a close, we pasted posters in locations around Pershing Square on the eve of the January 20th Women’s March. 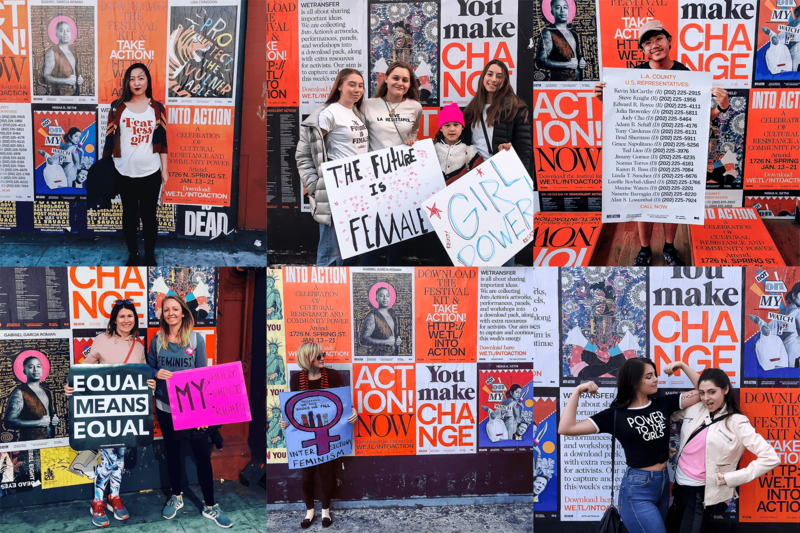 They became an impromptu backdrop for marchers’ portraits, and became a spontaneous art installation when protesters added their own signs to the space at the end of the day. Our work garnered over 15.5 million impressions on-platform for WeTransfer, and the campaign's social reached 1,550,136 with 285,674 clickthroughs. 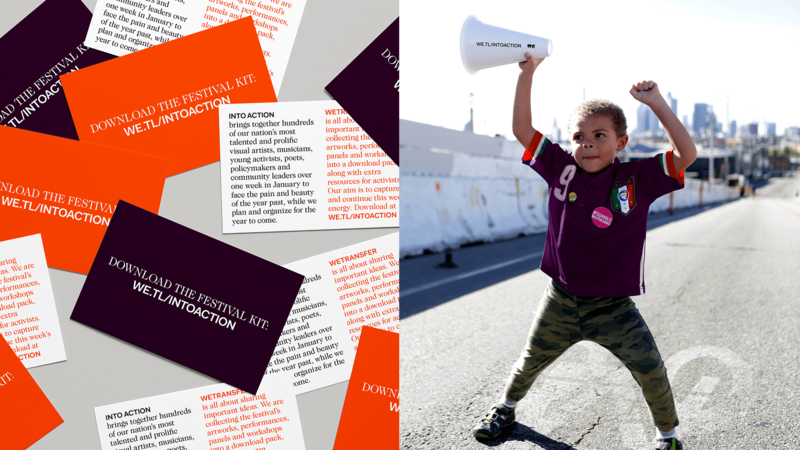 Visit we.tl/intoaction to download the festival kit and take action. Stink Studios is part of the Stink.co family.